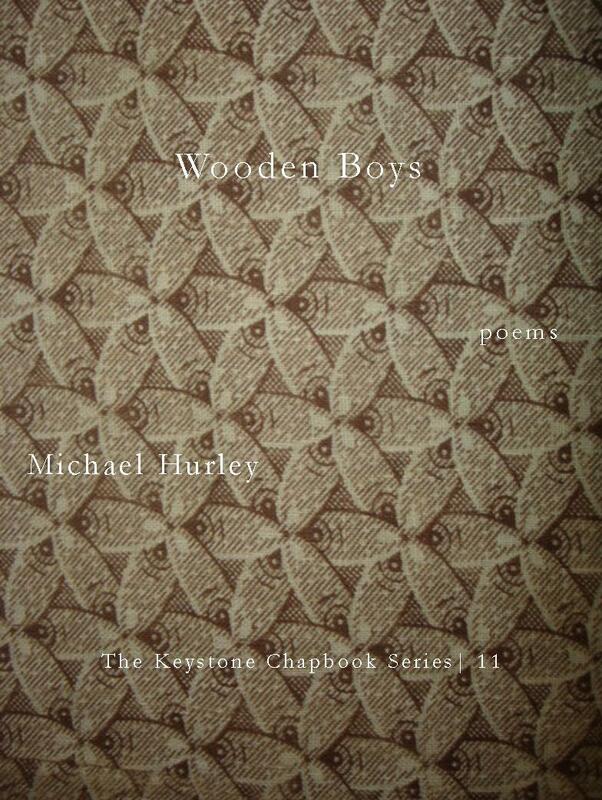 Wooden Boys: Poems by Michael Hurley. Number 11 in the Keystone Chapbook Series, selected by Brent Goodman. Cover image: antique quilting fabric, Pennsylvania, circa 1870. To order yours today, please click the link at bottom of this page. Michael Hurley‘s work has appeared in The Sycamore Review, Weave Magazine, The Fourth River, Fourteen Hills, and elsewhere. He is earning his MFA at the University of Illinois at Urbana-Champaign. But his home is in Pittsburgh. that crack when they freeze, stacks rocks along the river. took photographs, traded bones for boots. barefoot and saintly, they slit his throat. and our thirst turned us from men to camels. The compass shook this way, and we came, starting fires. minutes it takes to drag a cigarette across the sand. the sea, all bluish black. Purchase Wooden Boys here (or send an e-mail query to sevenkitchens at yahoo dot com).